What medicines are you taking? 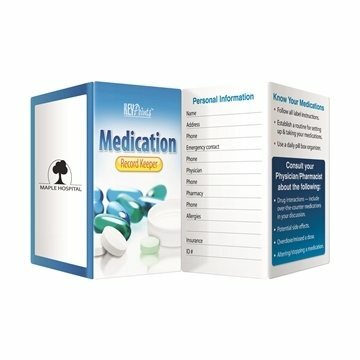 Track your medications including dosage, schedule and diagnosis. Record your prescription numbers, too. Fact-filled fold-up guide to interesting and informative topics. Eight panels front and back fold to credit-card size. I like the message of this product, the presentation, the quality, and the price! I was happy to find something to give to my staff for Staff Appreciation Day this year. High quality for that cost. the experience was great and the combination of quality and price made me a hero.